The first thing I noticed at Blue Hill was their incredible bulk section. Now given, Park Slope has half an aisle dedicated to bulk, but this was different. The quantities of each were smaller, but the selection was much wider. My favorite was that they had soap products–dish soap, laundry, even shampoo available in bulk. On the other side of the spectrum, you could bring your own containers and fill up as much as you needed of oils, honey, molasses and more. Now with olive oil I could have easily just taken the 5 liter bulk container for myself, but for other oils that I use much less frequently like sunflower or walnut oil, the option to purchase a smaller quantity is pretty awesome. Now, with their produce, I almost laughed a little. I kept looking around, thinking, “where’s the rest of it?”. If you’ve ever been to the Park Slope Food Coop, you should know my produce standards are high–one HUGE aisle (both sides and middle) dedicated to produce. Blue Hill had a small section no bigger than 10 feet long. Again I had to remind myself that they’re catering to a MUCH smaller customer base. What I did LOVE was their dedication to Maine produce and products. 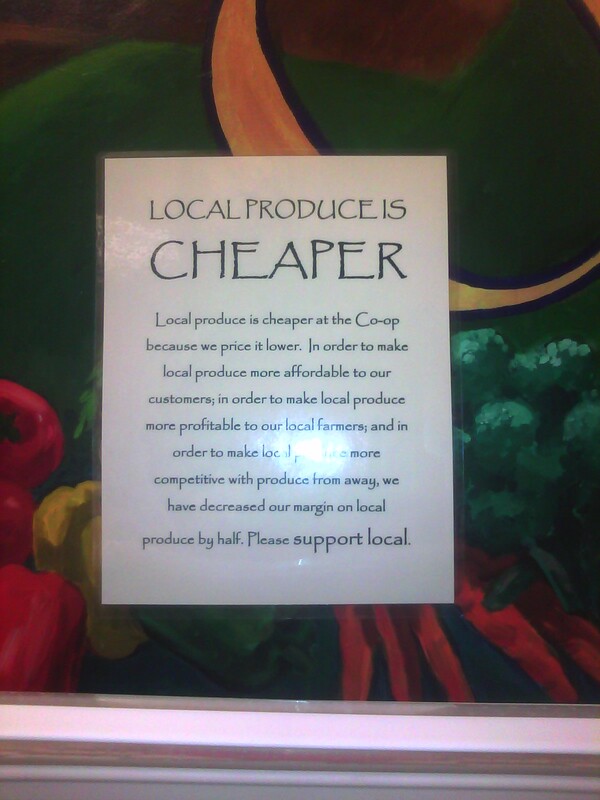 Blue Hill is so passionate about supporting local Maine farms that they’re willing to reduce prices (and profit margins) significantly to encourage customers to buy locally. There’s even a big sign above the produce noting the cause. There were some of the same products I’m used to seeing at Park Slope throughout the store, but I noticed the overall selection was different. Park Slope has an almost ridiculous selection of practically everything. Sometimes I wish that when choosing an item (such as milk alternatives) I only had 4 choices rather than 30. But, on the other hand, the items sell, so who am I to criticize? Blue Hill had a much more targeted selection. You need honey? 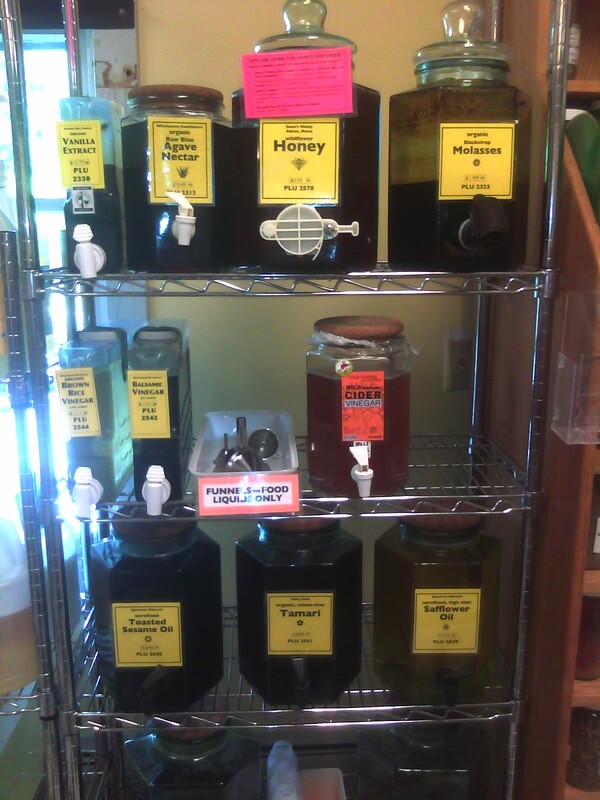 Choose from a few local varieties. Soda? There were a few flavors of Izzy. The cheese department I wish had more, but did appreciate that nearly everything offered was from New England. The other thing they had that I envied was raw milk–an item fairly hard to come by in New York. Had it not been my last day, I would have loved to purchase some, just to try it. Besides drinking, I’m sure it would make my next project of cheese-making pretty awesome. So yeah, Blue Hill was one of the highlights of my trip. Don’t get me wrong, the food and hiking and TONS of mini golf was pretty great too, but I still might have liked the coop best. It was interesting to see what they did similar to what I’m used to but more so what they did differently and how those ideas could work in Park Slope or maybe Bay Ridge. In the end, I restrained myself from the tasty granola and intoxicating teas, but did bring home a nice sized jar of blueberry honey and Maine sea salt, to help remember my visit. Very nice! Raw milk isn’t a term I’m familiar with, does it mean unpasteurised? Yes, raw milk is unpasteurized, unhomogenized milk. 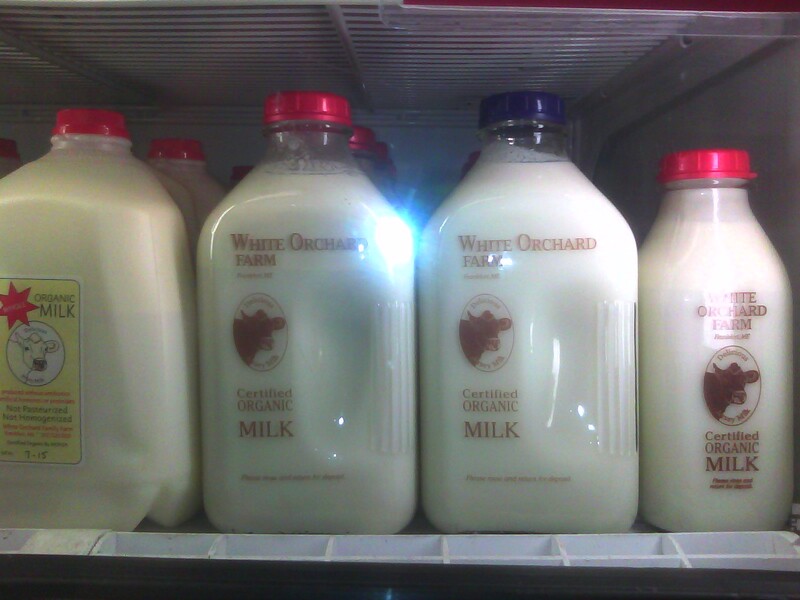 We can easily get unhomogenized milk in Brooklyn–Ronnybrook Farm is my favorite. It comes in glass bottles and the cream is separated on top until you shake it. Raw milk is legal but pretty hard to get. You have to know where to get it and usually get it right from the farm (not many farms in Brooklyn…) I think the biggest fear is that there are enzymes and bacterias in the milk before pasteurization that our bodies might not process well because we’re not used to it (thank you processed food world). I see. I remember as a child we had milk delivered and there would be a layer of cream at the top of the bottle. We got full-fat back then. Now I still get milk delivered in bottles from the milk-man, though my boyfriend insists on semi-skimmed, and I’ve got used to it now. My name is Jocelyn and I am with Dwellable. I am looking for fun and authentic blogs about Blue Hill and yours happened to catch my eye. If you’re open to it, shoot me an e-mail at jocelyn(at)dwellable(dot)com.